My earlier response to the PhotoChallenge “Warmth.” was about all-consuming destructive bush-fires in Australia. But the same fire becomes a boon if it provides right amount of warmth in extremely cold weather, as it does during Lohri festival of north India. 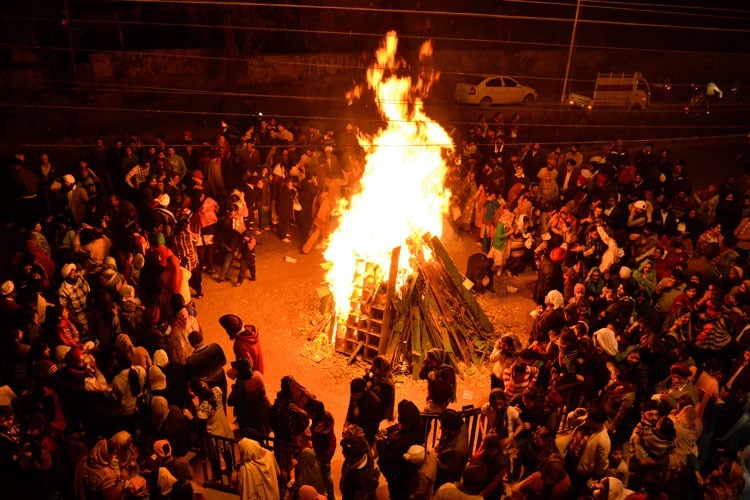 Today, on the 9th of January, it is Lohri festival dedicated to fire and sun god. People gather around a bonfire, sing and dance to vibrant drum-beats and there are all sorts of warming sweets and special delicacies. Lohri represents fire in its warm (not hot) celebratory form.